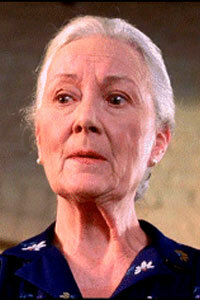 Aunt May is Peter’s closest family member and the one that always encourages him to make the right decision. Played by Rosemary Harris, May becomes a widow after a criminal that Peter could have stopped, kills Ben in a carjacking gone wrong. While initially May feels guilty over Ben’s death because she didn’t convince him to take the subway that day, Peter eventually comes clean about his involvement in the tragic incident. At first, May is upset but she eventually forgives Peter and appreciates that he was brave enough to tall her truth.Since the death of her husband, May has been facing financial struggles. Once Peter moves out, she is forced to leave the house Peter grew up in and move into a smaller apartment. It is aunt May that convinced Peter to return to his Spider-Man persona, when Peter’s doubts had begun to rid him of his abilities. She shares her wisdom once again when Peter confesses that he intends to marry his girlfriend Mary Jane Watson. She tells Peter to find the right way to propose and gives him her engagement ring. When Peter and Mary Jane hit a rough patch, May refuses to take the ring back, telling him that she knows he will find a way to put things right. Aunt May has also been a victim of attacks from the Green Goblin and Dr. Otto Octavius, fuelling Spider-man to make things personal.